Playing on your home field has its benefit in sports. You feel the energy of the crowd, your familiar with the setting and you don’t have to brush off the effects of traveling. Sportsbooks offering legal Super Bowl betting often pick the home team as the favorite, unless we’re talking about the Cleveland Browns. The Philadelphia Eagles have been better statistically at home this year. Meanwhile, New England Patriots have been better on the road. The Super Bowl is a big stage, so nerves will be on both sides, not to mention the fact that it is in Minnesota—not exactly friendly territory for either team. Will the Eagles submit to their away-game woes? Or will they power through and shock the sports world by dethroning the champs? If we’re talking numbers, there are several things to consider. For starters, the Eagles host the league-best point differential when playing at home. They win each home game by an average of 15.8 points. They also only allow a league-best 12.4 points scored against them. New England has the fifth-best point differential in Gillette Stadium in Foxborough. They win by an average of 9.3 points and typically allow 20.1 points against them. This margin is close, particularly in terms of points allowed, but it is when these teams hit the road that the figures get interesting. You’ll notice the script flips with point differentials on the road. Philadelphia wins by an average of 5 points. This is still the sixth-best, but a far cry from their top spot at home. In terms of points allowed on the road, the Eagles sit at sixteenth with 23.5 points per game. The Patriots hold a league-best average of 11.8 points in away wins. The defense holds the second-best spot with only 16.1 points allowed. Another thing worth noting is that the Eagles have the seventh-largest drop in overall point differential outside of Philly. This is cause for concern for a game away from home. The Pats actually have a better point differential on the road than they do at home, and they are only 1 of 7 teams with this stat. How does this play into the Super Bowl? Take the Eagles—a team that has been struggling for years. A team that hasn’t won the NFC since 2004. A team that has never won a Super Bowl. Now look at New England. The Patriots have been to the Super Bowl 8 times since QB Tom Brady joined up. Over 20 players on the current roster have been in a Super Bowl. They are the current defending champions after battling back from a 28-3 deficit in last year’s Super Bowl against the Atlanta Falcons. Conclusion: The Patriots know how to work under pressure. In fact, they’re used to it. The Eagles are playing with QB Nick Foles, who has been an afterthought in the league for much of his career, along with an inexperienced roster in terms of Super Bowl presence. If something goes wrong for Philadelphia, will they be able to muster the fortitude to outlast the Patriots? Will their seventh-largest point differential drop come back to haunt them? These are questions to ask before getting involved in betting on Super Bowl 52. 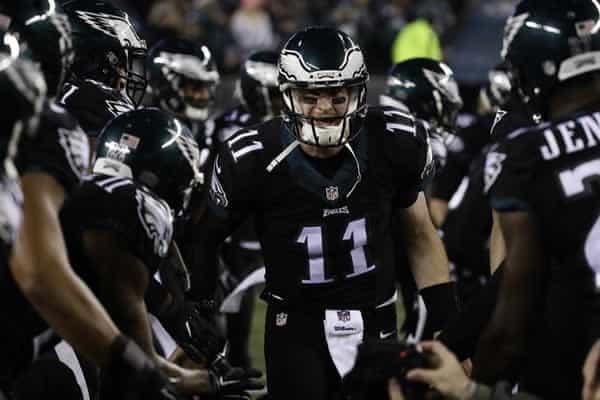 One saving grace is the fact that this Eagles team is hungry. They have something to prove against the giants of the league. Now that they have the opportunity, they may just do that.